Daniel…..Breaking down the West Virginia 1st Congressional District of U. S. Rep. Alan B. Mollohan (D-WV 1) as Votes come in…..
To win, Mollohan will need to pile on the votes in the northern panhandle area of the district, which includes Wheeling and Weirton, while retaining the support he typically registers in the areas along the Interstate 79 Corridor—Fairmont, Morgantown, and Clarksburg. While Mollohan has traditionally performed well in the corridor, there are signs this cycle might be more difficult. Anti-abortion groups have turned their fire on their former ally for backing the health care reform bill and have papered the region with mailers blasting the congressman. Even if Mollohan captures the nomination, Republicans say they will be looking at Mollohan’s vote total in the key corridor as a test of his vulnerability. “If Oliverio can get within 10 percent of Alan Mollohan in the I-79 corridor, it gives Republicans a great chance to beat Alan Mollohan in the general election,” said Republican strategist David Avella, a veteran of West Virginia campaigns. Oliverio ability to unseat Mollohan could hinge on his ability to roll up the vote total in his political base of Morgantown, a vote-rich college town that is home to West Virginia University. For Mollohan, the stakes of Morgantown vote are high, too. Plante explained that a poor Mollohan performance there would suggest that the incumbent failed to bring out his liberal base to the polls against the more conservative Oliverio. Mollohan spent part of his final push this weekend campaigning in Morgantown, and on Monday he held a public appearance with United Mine Workers of America International President Cecil Roberts in Blacksville, a town in Monongalia County not far Morgantown. The battle for the GOP nod in the 1st District has been a bloody and expensive three-way affair, with former state Sen. Sarah Minear and establishment favorite David McKinley, a former state GOP chairman, digging deep into their own pockets and spending hundreds of thousands of dollars on ads blasting their opponents. In the end, however, the winner might be determined by attorney Mac Warner, who is threatening to siphon off the anti-establishment vote Minear has pursued in her campaign against McKinley. Warner has endured days of negative press over reports that his businesses owe nearly $3 million in taxes and liens. “They key is to how badly Warner has been damaged in the last week and a half,” said Callaghan. Daniel…..Ohio Senate Democratic Primary: Race appears to be decided as Lieutenant Governor Fisher opens up 17-Point lead over Brunner according to a new Quinnipiac University Survey ….. The Race to face Republican Robert J. “Rob” Portman (R-OH) in the Fall looks like is decided. A new Survey released by Quinnipiac University this morning in the Buckeye State of Likely Democratic Primary Voters shows Ohio Lieutenant Governor Lee Irwin Fisher (D-OH) has opened up a 17-Point over his Primary Rival Secretary of State Jennifer Brunner (D-OH). Brunner has been vastly outspend by Fisher over the last couple of weeks and the DSCC is now running TV-Ads on behalf of Fisher. This Race looks like is decided in favor of Fisher. It remains to be seen though if he can beat Portman in November. Fisher has a pretty bad Statewide Track Record. 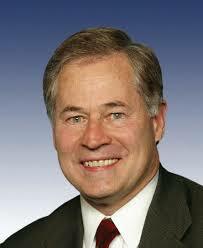 Fisher lost the 1998 Governor Race against Republican Bob Taft (R-OH). He served as Attorney General in the State from 1991 to 1995. In a race in New York ‘s 14th Congressional District we have two very different women running with two very different bases……. Maloney has held the seat since 1993…..and has union and established voters …..
Saujani a Lawyer and a business woman…..is apealing to the ethnic new voters in the district..which covers Manhattan and Queens……..
Here’s something on the race…..
To win in politics, you gotta have friends. 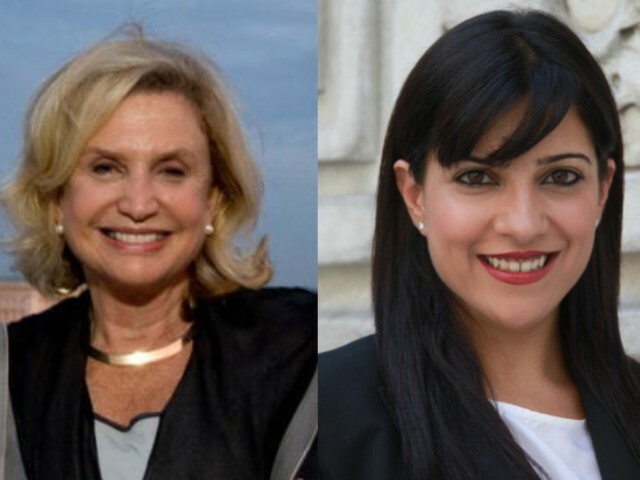 Rep. Carolyn Maloney’s are in high places, whereas challenger Reshma Saujani’s are on Twitter. Maloney launched her campaign at the Yale Club, where supporters including Gloria Steinem and City Council Speaker Christine Quinn raised $100,000. Before she officially announced her candidacy, Saujani cultivated an online presence through Facebook, a Huffington Post Op-Ed and a regularly updated Twitter feed. The differences in their approaches to capturing the congressional District 14 seat, representing most of Manhattan’s east side, point to a generational divide in campaign styles that Saujani has used to her advantage. Saujani said at a meet and greet with supporters last month that reaching voters through social networking is the campaign’s conscious effort to follow President Barack Obama’s succesful strategy. Young, tech entrepreneurs have flocked to her campaign, raising $20,000 at the hip Gramercy home of Vault founder Sam Hamadeh at a party hosted with Twitter co-founder Jack Dorsey, Guest of a Guest reported. Where Saujani has twittered and blogged her way to support from the technocrati, Maloney has turned to the bedrock alliance of women’s groups and unions that she’s built during her 17 years in office. Established Democratic backers such as Planned Parenthood Advocates of New York and the Women’s Campaign Forum have thrown their support behind Maloney. Organizers for Maloney’s campaign dismissed the idea that there was a generational divide between the campaigns. Note:…….Saujani has annouced her campaign staff….. which has ties to the Obama Administration (?!!)….. Reshma Saujani, who is challenging Rep. Carolyn Maloney in a Democratic primary, announced she has a field team in place. They include an Obama White House intern, an Obama organizer who worked in North Carolina, and an Obama campaign aide who worked on Rep. Scott Murphy’s campaign upstate. Kirsten Gillibrand…… New York Governor Paterson’s pick to fill Hillary Clinton’s seat is probably going to get premiered for the Democratic Senate Seat from New York…and I for one am happy…I have been hoping for this for some time and boy am I glad…. Gillibrand has more in common with a Southern Republican than a downstate New York Democrat and is unknown below Westchester…..
Man am I happy right now!…Two democratic senator’s retiring …ain’t good but no Kirsten Gillibrand is better…. Here’s a link to an earlier post I did on a Harold Ford Jr polling story….That will probably come true…..
And this time lets see if Obama steps in? Carolyn Maloney (D-NY-14th Dist) is going to get primaried…….. This may turn out to be interesting…..since Saujani who is, much younger than Maloney and is a lawyer, also has a financial background…..the machine against a young, smart upstart….